5 ingredients nut-free Granola ready in 5 minutes! Breakfast is by far my favourite meal of the day, probably because of my very sweet tooth 😉. As a child, while my sister would rather spend some extra time in bed before getting ready for school, I, on the other hand, would run downstairs and sit down at the breakfast table for at least 30 minutes, devouring a big breakfast! I still make it a priority to take some time for breakfast, which fills me up with energy for the day ahead. In summer it is usually composed of a couple of toasts with marmalade or a yoghurt topped with sliced bananas and this 5 ingredients nut-free Granola ready in 5 minutes. 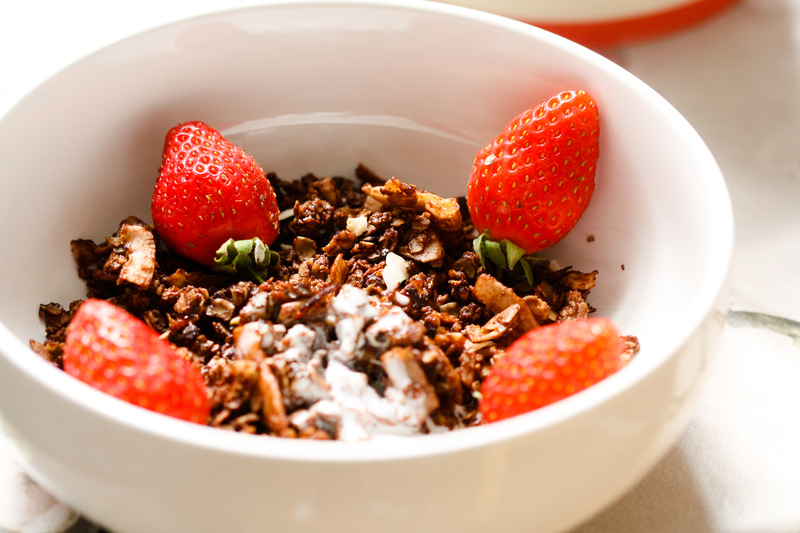 5 minutes, that’s all you need to make this granola from beginning to end! Get your ingredients ready, turn on the heat = 1 minute. Transfer your granola into a bowl and let it cool for a few minutes, come back to the table and enjoy a crunchy granola on top of your favourite yoghurt, a smoothie or anything you love for breakfast. Please let me know in the comment below what is your favourite combination? 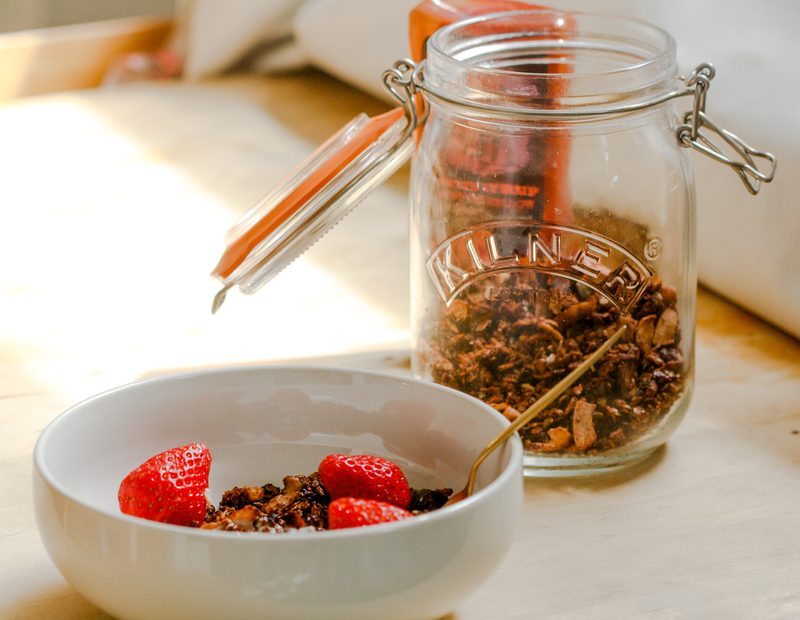 5 ingredients nut-free Granola ready in 5 minutes – no more no less ! You can also us your very own date paste by soaking pitted dates into some warm water for a few minutes (about 10 minutes) and blend until it reaches a smooth consistency. This is the base of your granola, but feel free to add some pumpkin seeds, raisins, cacao nibs, coconut chips (my favourite) , almonds, etc. to the mix after cooking… add as many ingredients as you like. 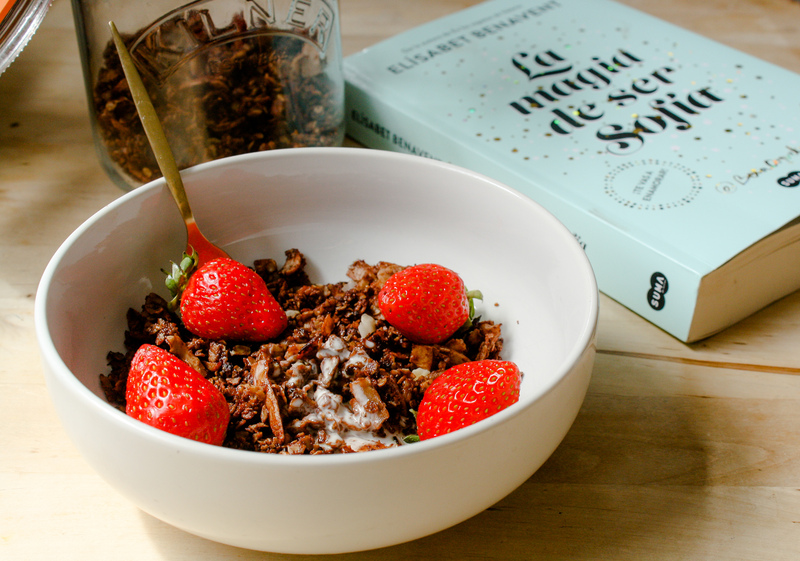 All I wanted to show you is how easy it was to make a quick yet delicious granola even when you are running out of time or when you don’t have that many ingredients left in your cupboard. Little tip: I find it easier to use a wok but a normal frying pan will do too! I hope you try and like this 5 ingredients nut-free Granola ready in 5 minutes recipe, if so let me know! Share on Pinterest and tag a photo on Instagram #mimies_delicacies so that I can see your lovely creations as well as helping me reach more of you lovely people. Merci my friends! Let me show you how easy it is to make a quick yet delicious granola even when you are running out of time or don’t have that many ingredients left in your cupboard. 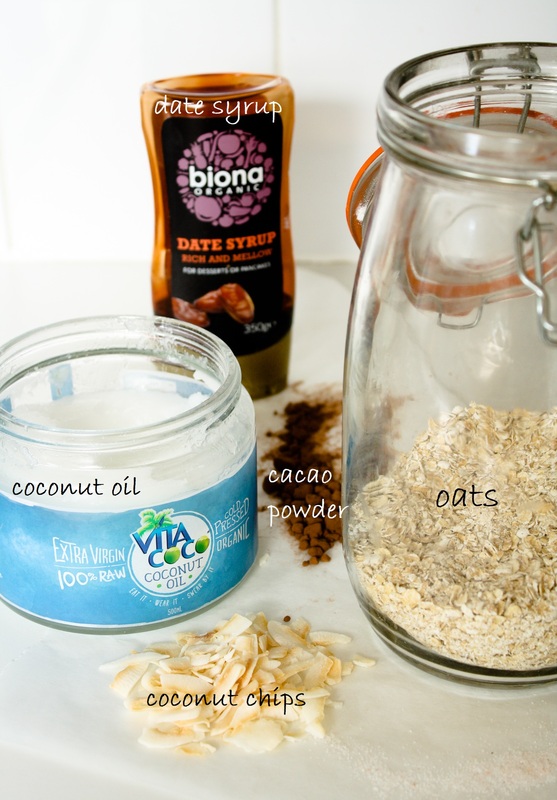 Mix together the oats, cocoa powder (or cinnamon) and salt. 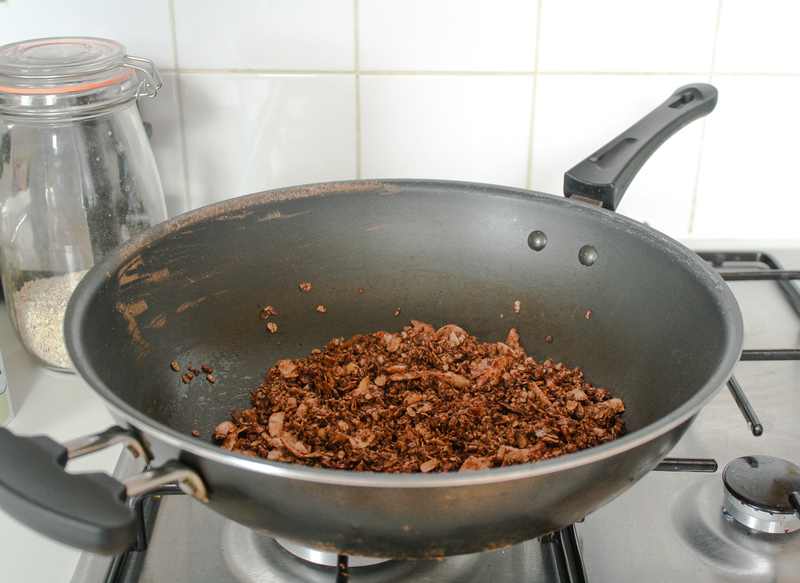 In a wok or a large frying pan on a medium heat, melt the coconut oil for a few seconds. Add the oat mix to the pan and stir with a wooden spoon for 2 minutes. Add the sweetener of your choice and stir for another 2 minutes. Take off the heat and transfer into a bowl or a jar. If you like your granola to be crunchy, let it cool for a few minutes before serving. Add any topping of your choice if desired.